It is clear that service-learning has the potential to yield tremendous benefits to students, communities, and institutions of higher education. Increased student learning has been well documented. As communities gain new energy to meet their needs and greater capacity to capitalize on their assets, service-learning enables higher education to fulfill its civic responsibility. When service-learning lives up to its potential to lead colleges and universities to transform themselves into fully engaged citizens of their communities and the world, its ability to bring about positive social change is limitless. To be successful, service-learning must be grounded in a wide range of solid, reciprocal, democratic partnerships. Building Partnerships for Service-Learning assembles leading voices in the field to bring their expertise to bear on this crucial topic. 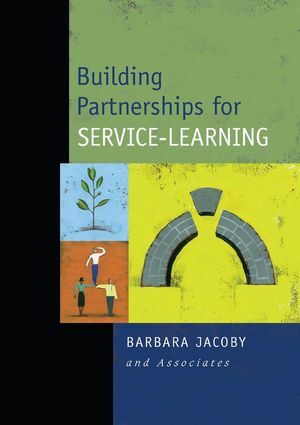 Faculty, administrators, student leaders, and community and corporate leaders will find this volume filled with vital information, exemplary models, and practical tools needed to make service-learning succeed. Building Partnerships for Service-Learning is the essential guide to taking service-learning and partnerships to the next level. Barbara Jacoby is director of commuter affairs and community service at the University of Maryland, College Park and adviser to the president for America Reads * America Counts. She is the editor of the groundbreaking book Service-Learning in Higher Education published by Jossey-Bass. Jacoby is a sought-after speaker and consultant on service-learning.